​Well, the holidays are here again. And with the arrival of the season, come the tendencies to want to decorate. 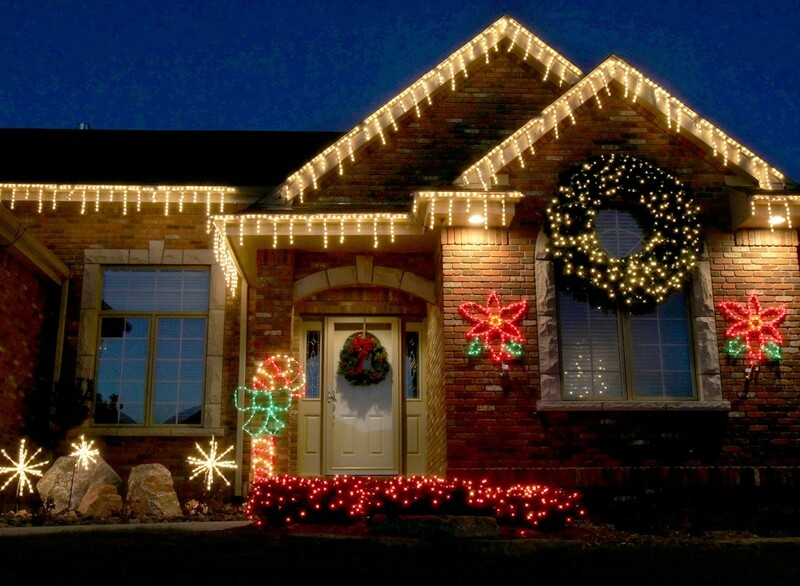 As you're sprucing up your home this Holiday Season, keep an eye out for some of these common mistakes, which can create fire hazards, and other safety shortfalls. Here's 10 important tips on how to keep your home and your family safe from fire and injury this Holiday Season. The countdown to Thanksgiving, along with all the turkey, stuffing and pumpkin pie has begun. This particular holiday is all about giving thanks and spending a day with friends, family and loved ones. ​ But cooking the festive Thanksgiving meal can lead to some very unwelcome consequences, if one is not careful. Thanksgiving Day is the pinnacle for home-cooking fires, accounting for about three tims as many fires as any other day of the year. And fires can lead to injuries, deaths, or property loss, so make sure to follow some safety suggestions for this holiday. Due to a recent spike in trenching fatalities, OSHA has updated the NEP program on preventing trenching and excavation collapses. The Department of Labor, on October 1st, issued an update to its National Emphasis Program (NEP) on Trenching & Excavation Safety. Excavation work is one of the most dangerous construction activities. OSHA's NEP will increase education and enforcement efforts while its inspectors will record trenching and excavation inspections in a national reporting system, and each OSHA Area Office will develop outreach programs. As many are aware, it is illegal under both federal and state laws to discriminate against an employee based on his or her medical condition regarding employment decisions. These decisions include hiring, firing, promoting, demoting, training and job assignments based on an applicant’s medical conditions. It makes sense that employees would not even want their employers and/or coworkers having knowledge of their private medical conditions. And there are laws in place which prevent employers from even asking questions related to an applicant’s medical conditions. In my opinion, when it comes to safety sensitive positions and/or safety sensitive tasks, this policy can cause some serious problems for employees and employers alike. As a professional safety training provider, we spend a lot of time discussing options in course content development techniques, processes, content delivery methods and measurable objectives. One concept in workplace safety training is what is referred to as “continuous training” and it’s a concept companies should be familiar with. Remember on November 5th, when you set your clock back an hour, test your smoke alarm batteries, also. See, according to the NFPA, or the National Fire Protection Association, between 2009-2013, smoke alarms sounded in more than half (53%) of the home fires reported to U.S. fire departments. Three out of every five home fire deaths resulted from fires in homes with no smoke alarm (38%) or no working smoke alarm (21%). This memorandum provides interim enforcement guidance to Compliance Safety and Health Officers (CSHOs) for enforcing 29 CFR 1926.1153, Respirable Crystalline Silica. The Respirable Crystalline Silica in Construction standard establishes a new 8-hour time weighted average (TWA) permissible exposure limit (PEL) of 50 µg/m3, and an action level (AL) of 25 µg/m3. As you know, OSHA has been enforcing the Respirable Crystalline Silica in Construction standard since September 23, 2017. However, for the first 30 days, OSHA offered compliance assistance in lieu of enforcement for those employers who were making good faith efforts to comply with the new construction standard. Effective October 23, 2017, OSHA will fully enforce all appropriate provisions of the Silica in Construction standard. This memorandum will serve as interim enforcement guidance while the standard's companion compliance directive is proceeding through the review process. It will expire when the compliance directive becomes effective and available to the field. This memorandum highlights some of the requirements of 29 CFR 1926.1153, but does not provide guidance on all of the standard's provisions. The attachments provide inspection and citation guidance; as well as flow charts to assist with evaluating employers' control methods. Please consult the Office of Health Enforcement when you need further information or guidance on 29 CFR 1926.1153, Respirable Crystalline Silica. Further, due to the new requirements in 29 CFR 1926.1153, Respirable Crystalline Silica, OSHA has revoked CPL 03-00-007, National Emphasis Program - Crystalline Silica. However, the inspection procedures for both General Industry and Maritime will remain unchanged until the compliance date for these industries begins on June 23, 2018. It's all about the 'WHY'- not the 'Y'- in safety! ​ If you’ve been in the safety profession or in supervision, for any length of time, you’re familiar with the difficulties associated with getting employees on board when it comes to following safety policies or procedures. Many of you have probably even had trouble in simply getting workers to follow a simple order of operation when performing routine tasks. In this post, I will share one of my experiences that really helped me understand why this is and share some tips on ways to effectively get the results you seek. First, we must understand that our workforce is comprised of people, each of whom are a creature of habit, a culmination of life experiences. Having spent the first decade of my career as a field-level employee, I sometimes wonder why it took me as long as it did to figure this out. Well, it's that time of year again. That's right, it's fall already. And while many of us may look forward to the changing colors of the leaves, many employers often overlook the importance of planning for the upcoming flu season and the effective strategies that are available to help protect their businesses from the devastating affects of influenza. According to a Walgreens study from September 2015, influenza was responsible for over 100 million lost workdays during the 2014 - 2015 flu season. In fact, many sources list influenza as a leading cause of employee absence. Some estimates say that 10 - 12% of all employee absences are due to employees contracting the flu virus and each affected employee might miss up to six days of work and need up to two weeks to make a full recovery. That's over $7 billion in lost wages; two-thirds of the missed workdays were employer-paid sick leave, while the flu sliced more than $10.4 billion of company productivity. Also, imagine the increased potential for workplace accidents as workers attempt to work while self-medicating themselves for symptoms of the flu. Taking medications that may cause drowsiness, delayed reaction times, or just simply poor decision-making. 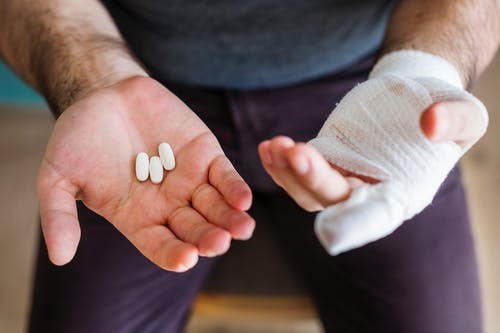 Any such serious accident or injury could damage a company's reputation and could also cause insurance premiums to soar.